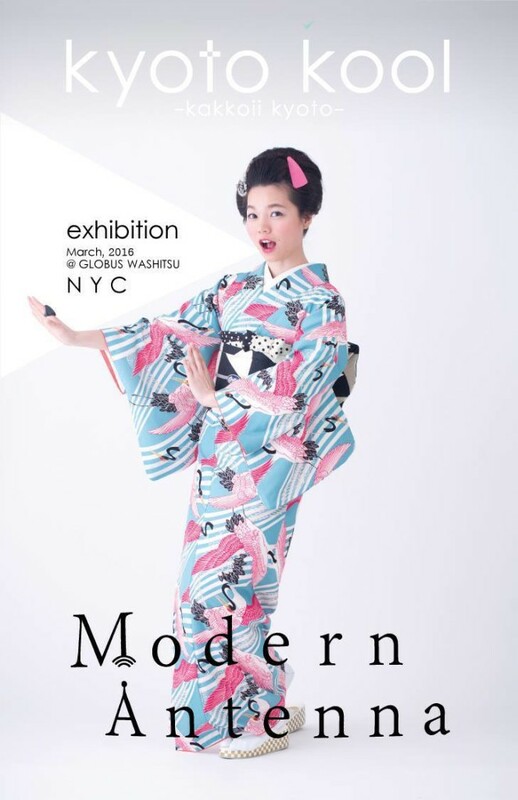 Thursday, March 10 until Monday, March 14 from noon until 6:00 p.m.
Kyoto-based contemporary kimono designers Modern Antenna will have its American premiere of their beautiful line of youthfully spirited kimono. The exhibition is in collaboration with Globus Washitsu, a tatami-mat oasis near Union Square that serves as an exhibition and tea ceremony space as well as a ryokan (traditional Japanese inn) for artists visiting from Japan. The Modern Antenna creators will be participants in Globus Washitsu’s Artists in Ryokan Residence program. With mannequins by Ralph Pucci, the exhibition will display Modern Antenna’s characteristic kimono, which have bright colors and bold graphic prints. For more information, please visit the Kyoto Kool event page on Facebook.